Fess Parker Winery Barrel Room, photo by Rob Brown. 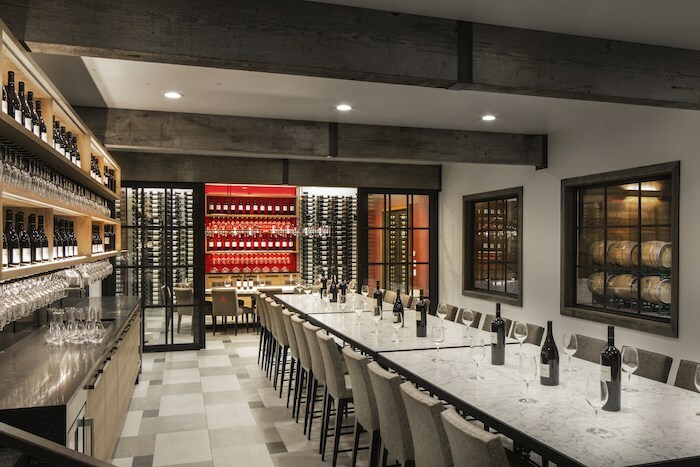 It’s always lovely to visit Fess Parker‘s bucolic 714-acre ranch in Los Olivos, but they recently refurbished the VIP Barrel Room, which makes it an even better wine tasting experience. The tour starts with a video, shot by acclaimed photographer Rob Brown, of the history of the ranch and Fess Parker’s development of the vineyard on what is now known as the Foxen Canyon Wine Trail. Though Fess passed away in 2010, Fess Parker Winery & Vineyard is still family owned and operated, as it has been since 1989. Following the video, we went into the barrel room for a discussion of the cooperage selection, and the wine aging process, as well as a special barrel tasting. Our tour was just for my husband and I, but they can accommodate up to 12 guests. 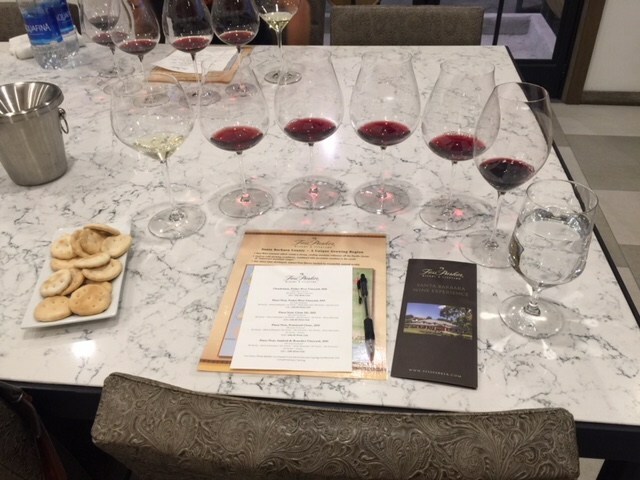 Tasting at Fess Parker Winery, photo by Leslie Dinaberg. 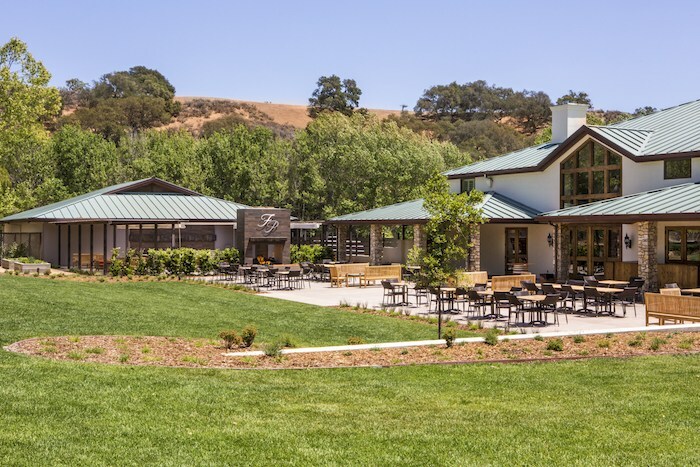 You then go into a seated tasting of some top notch wines, accompanied by a selection of savory bites prepared by the culinary team at The Bear and Star restaurant (another delicious Fess Parker family venture at the nearby Fess Parker Wine Country Inn & Spa in Los Olivos). Among the six notable wines we tasted that day were the 2016 Pommard Clone Pinot Noir from Sta. Rita Hills and the 2015 Ashley’s Pinot Noir, also from Sta. Rita Hills. Fess Parker Winery Barrel Room, photo by Peter Malinowski. Tasting in the sophisticated new barrel room—designed in dramatic shades of red and black, which are warmed up by wood cabinetry and shelving—definitely feels like you’re entering the inner sanctum of the winery, and creates a dynamic contrast to the more homespun vibe found in other, more public, parts of the winery, where tastings are also offered. Fess Parker Winery patio, courtesy photo. The VIP Barrel Room Tasting and Tour is only available on Saturday mornings at 11 a.m., by reservation only, and is $50 for non-wine club members and $35 for wine club members. For more information, call 800/841-1104 or email barrett@fessparker.com. Fess Parker Winery is located at 6200 Foxen Canyon Rd., Los Olivos and is open daily from 10 a.m. to 5 p.m. For more information on the 12 other wineries on the Foxen Canyon Wine trail (one of the most beautiful ways to explore Santa Barbara Wine Country, in my opinion) click here. 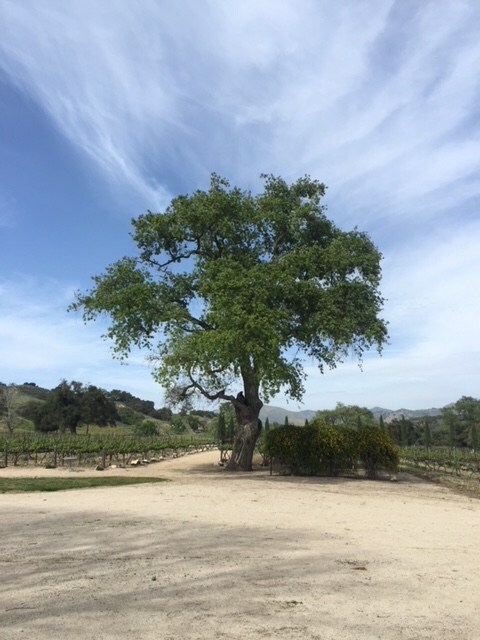 Fess Parker Winery, photo by Leslie Dinaberg. Originally published in Santa Barbara Seasons on June 22, 2018. The Bear and Star’s The Greens, with muddled mint, cucumber, thyme sprig, green chartreuse, white rum, sparkling wine & lime juice. Courtesy photo. 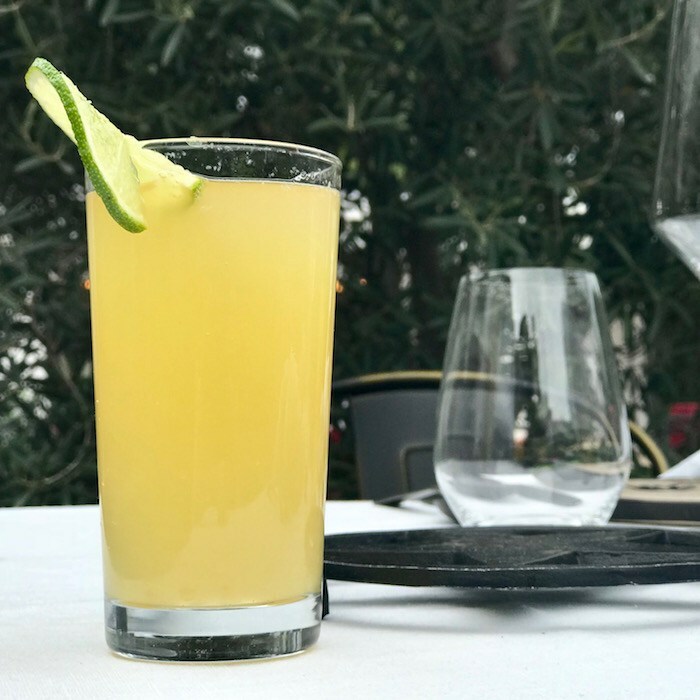 The Bear and Star in Los Olivos not only showcases excellent refined ranch cuisine, created primarily with ingredients from the 714-acre Fess Parker Ranch that’s just a few miles away, but the heirloom fruits, vegetables herbs and wildflowers have also inspired a creative new cocktail menu for spring. 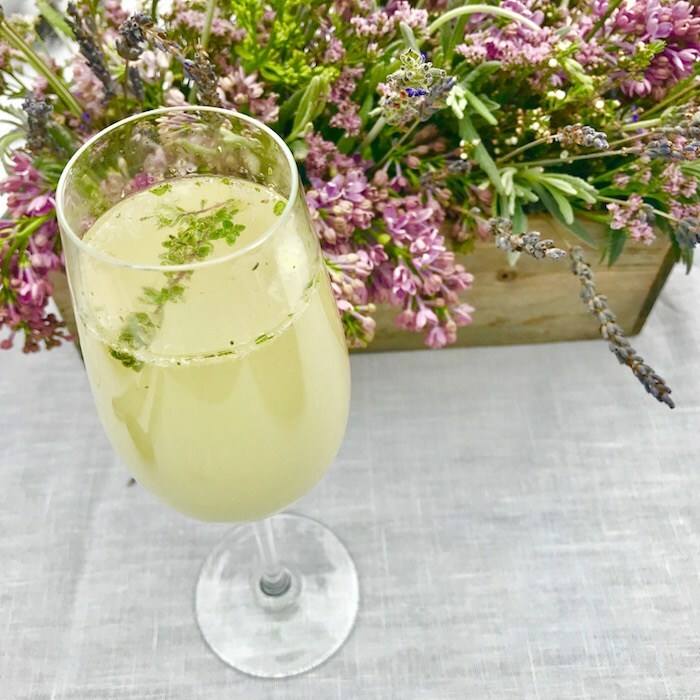 The Bear and Star’s Herb Gin ‘n Tonic, with Cutler’s artisan gin, lime juice, simple syrup, quinine powder & seasonal fresh herbs from the garden. Courtesy photo. The Spring Shandy is made with vodka, blonde beer, lemonade & lime juice. The Herb Gin ‘n Tonic has Cutler’s Artisan Gin, lime juice, simple syrup, quinine powder & seasonal fresh herbs from the garden. The Bear and Star’s The Revive, with yellow chartreuse, aperol, kumquat shrub, muddled strawberry & white wine. Courtesy photo. The Revive is made with yellow chartreuse, aperol, kumquat shrub, muddled strawberries & white wine. 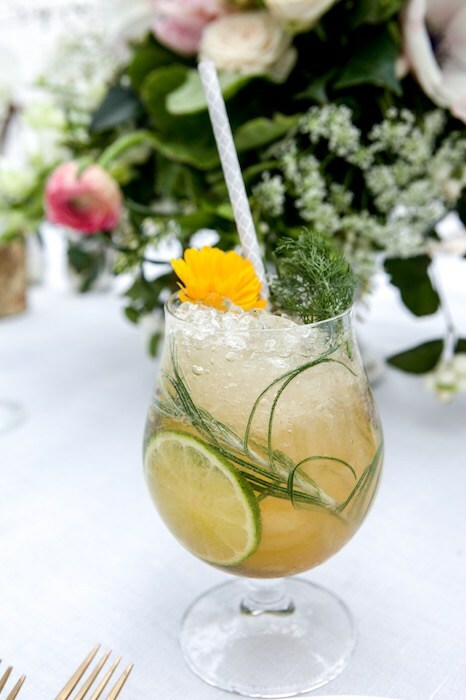 The Greens features muddled mint, cucumber, thyme sprig, green chartreuse, white rum, sparkling wine & lime juice. Each of these hand-crafted cocktails are priced at $12 and available throughout the season. The Bear and Star’s Spring Shandy, with vodka, blonde beer, lemonade & lime juice. Courtesy photo. 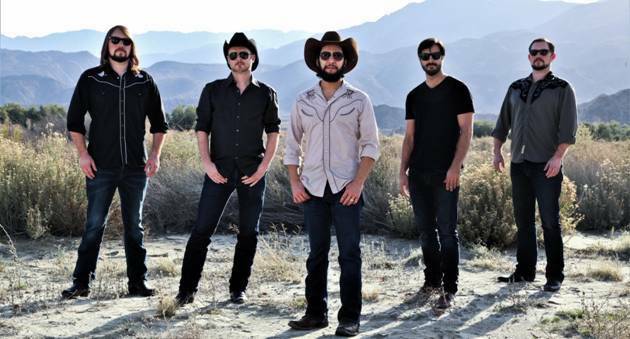 The Bear and Star is located at 2860 Grand Ave., Los Olivos at the Fess Parker Wine Country Inn. Originally published in Santa Barbara Seasons on May 18, 2018. Pico is located in the Los Alamos General Store, courtesy photo. 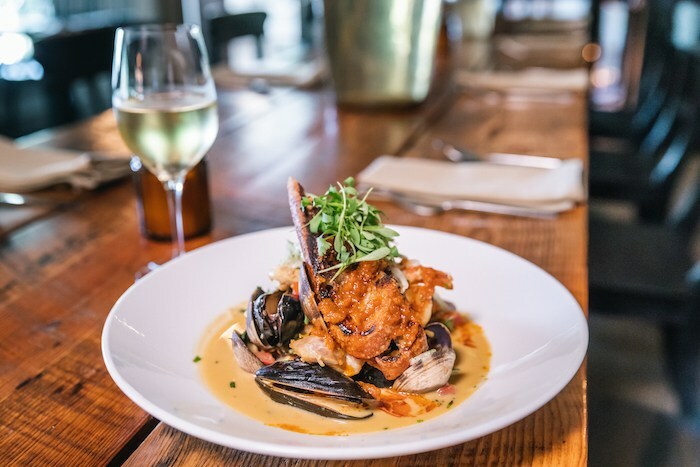 Headquartered in the wee Western-style town of Los Alamos and sharing its 1880s vintage building with The Los Alamos General Store is PICO, a farm-to-table foodie destination that’s quickly building a buzz among diners up and down the coast. Owners Will Henry and Kali Kopley, a husband and wife duo, chose the building because of its history and place in Los Alamos’s timeline. It continues to fulfill its original destiny as a mercantile through the retail portion of General Store, which includes a 2,000-bottle wine shop. The restaurant side of the business takes its name from historical figure Salomon Pico, an infamous local bandit said to have been part of the inspiration behind the legend of Zorro. Housemade charcuterie from Pico, courtesy photo. 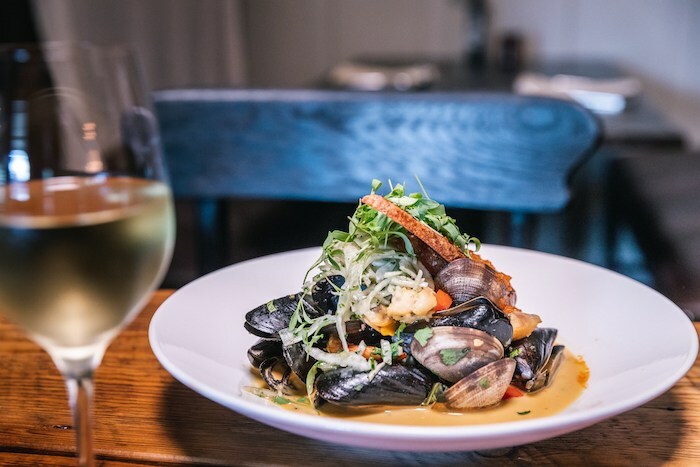 PICO’s seasonal menu is a tribute to the symbiotic farmer-restaurant relationship, using strictly in-season ingredients and primarily showcasing the bounty of Santa Ynez Valley. Dishes are created based on the food items at hand from local farmers and ranchers, all under the guidance of Chef Drew Terp. Terp’s top-notch credentials include Michelin-starred kitchens from Napa (Auberge du Soleil) to New York City (Alain Ducasse at the Essex House, Masa and barMasa), Spain (under Chef Pedro Subijana at Akelare), Las Vegas (barMasa and Shaboo), Washington, D.C. (Jaleo) and most recently with the now-shuttered Mattei’s Tavern in Los Olivos. Terp makes all of his ingredients in-house—including the ketchup and mustard. Pico’s Seared Duck Breast, courtesy photo. PICO recently added a 2,000-square-foot outdoor area with additional seating, a fire pit, a chicken coop, bee hives and raised gardens, bringing the locally sourced menu even closer to home. With the outdoor area, “the restaurant’s eggs come from right outside our back door; our bees will provide honey for our dishes and drinks, as well as our house-made condiments and provisions; and the garden will offer up home-grown herbs and produce, to supplement the fabulous ingredients that we receive from our local providers,” says Terp. Current menu highlights include charcuterie (locally sourced meats, house-made by Terp) and cheese plates with delicious bread from the neighboring Bob’s Well Bread Bakery; starters like pork cannelloni with béchamel, manchego and asparagus with house-made bacon and a 63 degree egg, and mushroom salad with bacon and arugula; and entrées such as a juicy heart of rib eye, served sliced over crispy potatoes, cedar-wrapped halibut with morels, English peas and Meyer lemon or grilled local lamb loin with ratatouille mille feuille and polenta. Pico’s creative menu features approachable Californian cuisine sourced from locally-farmed, seasonal ingredients, courtesy photo. As for the wine, Will Henry is co-owner of Lumen Wines (with esteemed vintner Lane Tanner), and the list includes their labels, along with other gems. Definitely leave room for dessert, which includes house-made ice creams (also available from the mercantile) with mouth-watering flavors like dulce de leche, tarragon and granddaddy’s favorite (bourbon-Wild Turkey 101), the chef’s homage to his grandfather. PICO at The Los Alamos General Store, 458 Bell St., Los Alamos, 805/344-1122, losalamosgeneralstore.com. One of Santa’s Barbara’s favorite dining destinations, The Lark (131 Anacapa St.), was recognized by Wine Enthusiast in their sixth annual issue of the “Best Places to Drink Up In While Dining Out.” As a winner of the “Not to be Missed” category, The Lark was recognized for their outstanding wine program curated by Wine Directors Chris Robles and Vern Kettler. The wine list at the Lark focuses on smaller production wines made with minimal intervention from the winemaker, and which reflect a sense of place. Grape varieties for which the Santa Barbara area is known and their international counterparts are the focus. With few exceptions, all American wines are from Santa Barbara County. Wine Enthusiast editors state that “Chef Jason Paluska’s wine friendly foods are inspired by farmers’ markets—smoked pork belly, for example, might come with roasted berries, pickled summer peppers and candied brittle of fat local almonds.” The Lark is the only recipient from Santa Barbara this year, and one of 22 restaurants awarded in California. See the full list here. J. Wilkes Wines, courtesy photo. J. Wilkes Wines has opened a new tasting room in downtown Los Olivos at 2963 Grand Ave. The space highlights a distinct wine tasting experience including educational aspects focusing on the region’s unique AVA’s, an entertaining quiz and private Winemaker Office Hours with winemaker Wes Hagen. The J.Wilkes brand was launched in 2001 by wine industry veteran Jefferson Wilkes and after his passing in 2010, the label was relaunched by the Miller Family, a fifth-generation California farming family, as a tribute to Jefferson’s unwavering love of the region. J. Wilkes, under the guidance of accomplished winemaker Hagen, is dedicated to producing wines from the greatest American Viticultural Areas (AVA’s) on the Central Coast. 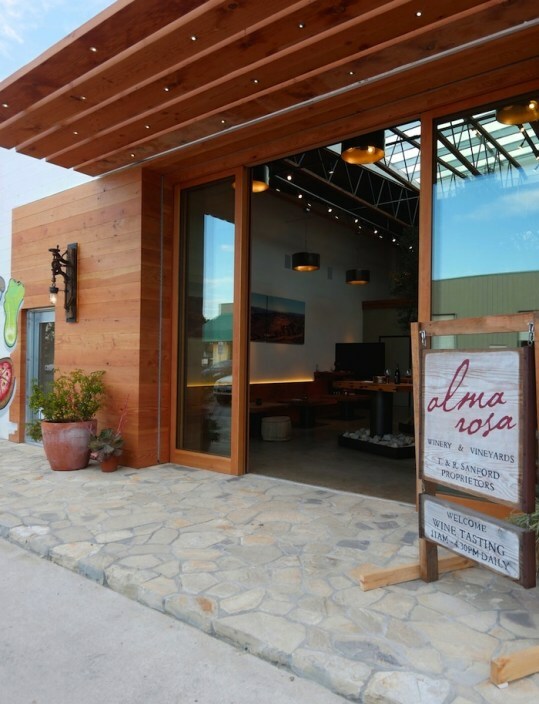 Their new tasting room and education center in Los Olivos boasts an experience that gives insight into these regions and their wines and provides visitors with information about the area’s AVA’s including Santa Maria Valley, Sta. Rita Hills and Paso Robles. At long last, bottles of Cutler’s spirits are now available for purchase in the tasting room. You can now come directly to the distillery to purchase your local favorite spirits. Personally, I’m partial to the spicy, cinnamon-tastic, delicious Grandma Tommie’s Apple Pie Liqueur, but Cutler’s Artisan Spirits also has its own Gin, Vodka and 33 Bourbon Whiskey, all of which are high quality and locally produced. (the tasting room and distillery is at 137 Anacapa St., Suite D, in the heart of Santa Barbara’s Funk Zone). Some of the fare at Lama Dog and the Nook, photo by Leslie Dinaberg. The first two tenants at The Waterline, a commercial mixed-use project at 116-122 Santa Barbara St. in the Funk Zone, have opened for business and both have quickly become local favorites: the Nook by Master Chef Norbert Schulz, and Lama Dog Tap Room and Bottle Shop. Craft beers (and a few wines) paired with fabulous, high quality food is a win-win for the area. Try the House-Made Bratwurst or the Rock Fish Tacos with one of 20 interesting rotating beers on tap. Ah … it’s a great way to keep that summer feeling going all year long! Originally published in Santa Barbara Seasons Magazine on September 2, 2016. Cheers to M. Special Brew Co., Bien Nacido/Solomon Hills Estate Tasting Room, Standing Sun … The Bodega, The Good Lion, Globe, The Nugget, Les Marchands and more! 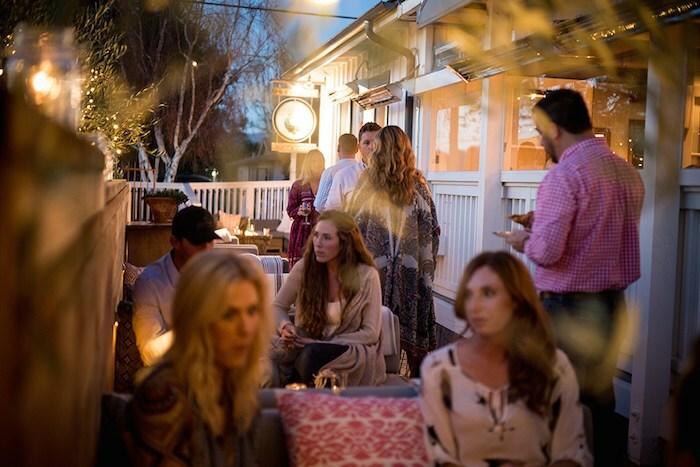 The ever groovier Goleta has a cool new hangout, M. Special Brew Co. Tap Room and Brewery, located at 6860 Cortona Dr. The tasting room features roll-up doors to create an open-air environment, with views of the brewing area through hand-made steel frame windows. The brewery also has four 50” televisions and a Sonos music system to provide additional entertainment. 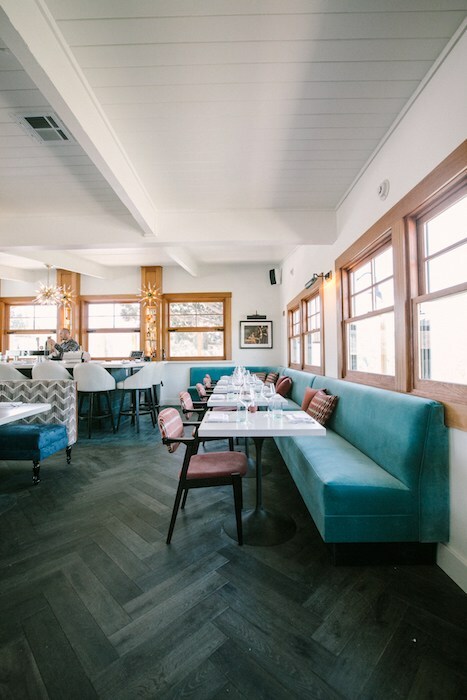 The bar is constructed from local wood from woodworker and artist John Birchim, who created over 40 feet of live edge bar made from a fallen Monterey Pine from the Santa Barbara coast. The brewery was designed by Patrick Housh of Piorier + Associates Architects and built by Michealsen Construction Company of Santa Barbara. Not only is this place cool looking, you won’t go hungry. They have a partnership with Woodstocks Pizza, so pizza and salads are always available, and they’ll feature various food trucks on rotation. There was quite a spread the night we went—we’ll definitely be back! 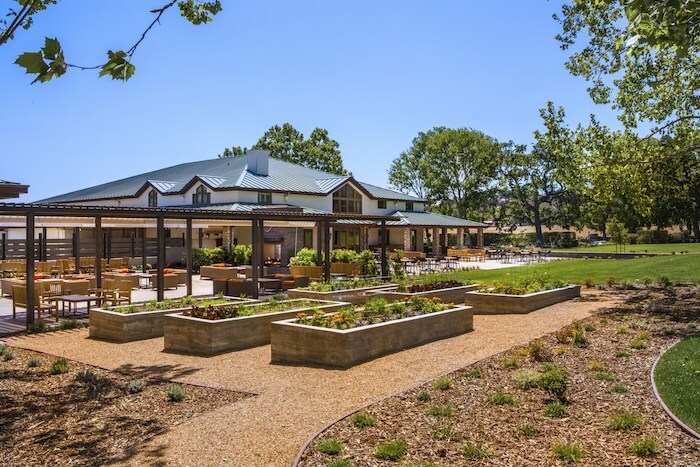 The charming town of Los Olivos—always a great place for walkable wine tasting, shopping and dining—recently got even better, with the addition of the new Bien Nacido/Solomon Hills Estate Tasting Room. Located at 2963 Grand Ave., Unit B , the tasting room is open Thursday through Monday from 11 a.m. to 5 p.m.
“Simply put, Bien Nacido Estate is now one of the hottest wineries in California,” writes wine critic Antonio Galloni, founder of Vinous, a well-respected wine publication. In Galloni’s recent report, the Bien Nacido Estate Chardonnay and the Solomon Hills Chardonnay were the two highest rated Chardonnays on California’s Central Coast. For more information, visit biennacidoestate.com. Another new place worth checking out (It’s gorgeous!) is Standing Sun … The Bodega, located in the historic Casa de la Guerra‘s original 1817 Bodega wine cellar. 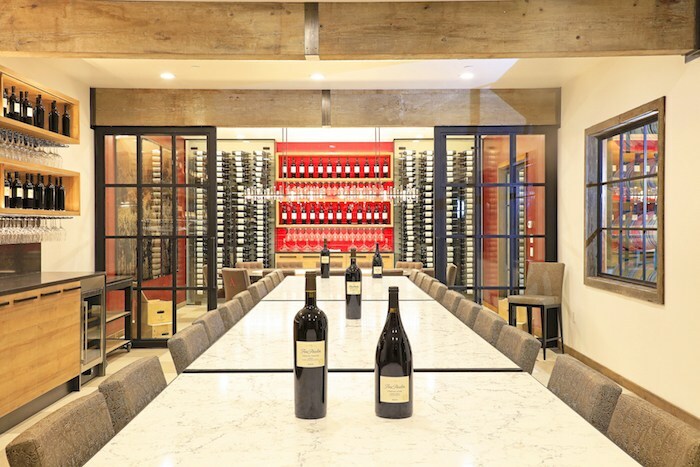 This rhone varietal wine tasting and art gallery is the oldest wine cellar on record in the city of Santa Barbara, and quite possibly the State of California. Standing Sun The Bodega is a new tasting room in the historic Casa de la Guerra. Courtesy photo. Standing Sun wines are handcrafted in small lots from some of Santa Ynez Valley’s premiere vineyards. The fruit is sourced as vineyard specific varieties, each with its own characteristics and diversity. Vineyards they work with include: Tierra Alta vineyard on Ballard Canyon, Clover Creek vineyard on Refugio Rd, Colson Canyon vineyard near Tepesquet and Camp four vineyard on Baseline Avenue. The resulting wines are pure, un-manipulated wines, individually fermented and aged in neutral French oak barrels for 11 months. A couple of weeks ago at the Fermentation Festival I had the pleasure of trying several really delicious handcrafted cocktails from The Good Lion (1212 State St.) and was quite impressed. Everything is fresh and fun and their weekly rotating cocktail menu features the Central Coast’s finest fruits, herbs, spices, and produce, as well as local booze from Cutler’s Artisan Spirits and Ventura Spirits, among others. 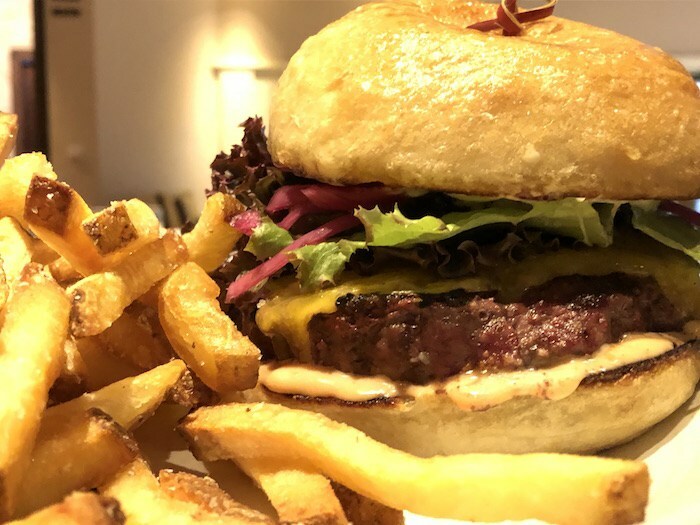 Another fun addition to the downtown cocktail scene is Globe, 18 E. Cota St., which features a big $10 and under menu of globally inspired small bites and cocktails. I really liked the Pink Grapefruit Drop (sort of a cross between a Greyhound and a Lemon Drop), and the Flaming Blood Orange Margarita. 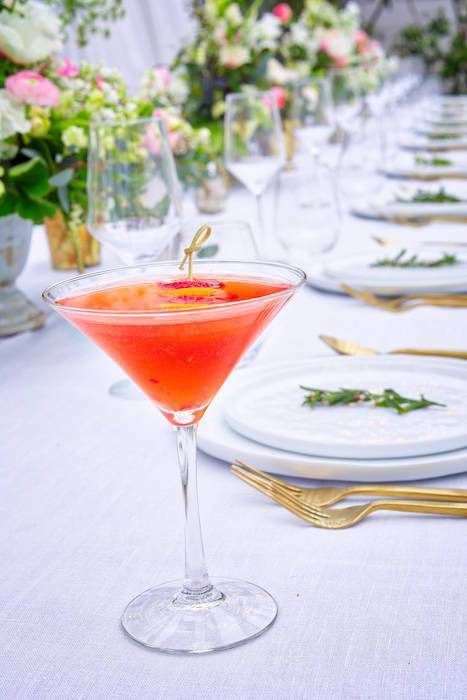 Fancy cocktails are always fun, but sometimes you just want (need?) a stiff pour, and downtown’s new Nugget Restaurant (21 W. Victoria St.) certainly fits the bill. Between the strong, well-priced drinks, vintage Santa Barbara photos, friendly service and comfort food menu, I thought I was at Harry’s for a minute. I miss Arlington Tavern but this is a welcome addition to the downtown offerings. Coming up on Tuesday, October 6, Les Marchands presents a dinner celebrating the exceptional wines of Giuseppe Quintarelli, the revered wine producer from Veneto in northeast Italy. Quintarelli was internationally heralded for his Valpolicellas, reciotos and Amarones. For this dinner, Les Marchands Executive Chef Weston Richards has created a four course menu of Duck Liver Mousse, radicchio and apple; Wild Mushroom Lasagna with house-made ricotta; Crispy Lamb Cheeks with cannellini beans, roasted figs and Pecorino; and Chef Weston’s selection of Ripe Cheeses that honors these stunning wines – Quintarelli’s 2011 Primofiore IGT, 2006 Rosso Ca’ del Merlo, 2006 Valpolicella Classico Superiore and the 2006 Amarone della Valpolicella Classico. For further information call 805/284-0380 or visit lesmarchandswine.com/pages/events. Space is limited. Originally published in Santa Barbara Seasons Magazine on October 2, 2015.